Home|Blog|Uncategorized|Katahdin’s Hitting the Road: 9 Log Home Shows! Katahdin’s Hitting the Road: 9 Log Home Shows! After a well-deserved break for the holidays, Katahdin will be exhibiting at nine Log Home Shows across the country. Log home shows are a great way to get started on designing and building your own beautiful log home. Katahdin takes pride in providing straight information and plenty of super ideas. If we’re coming to your neighborhood, please save the date! 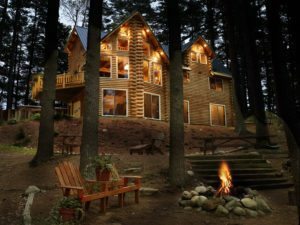 We’re organizing another series of log home events for our potential customers— ranging from local open houses and log raisings to our popular Logapalooza seminars. If you haven’t had a chance to attend one of our Logapalooza day-long events, they are a tremendous learning opportunity. Plus, you’ll have the chance to see multiple Katahdin Cedar Log Homes in just a few hours! Stay tuned and visit our Events page for more information as these events are planned.